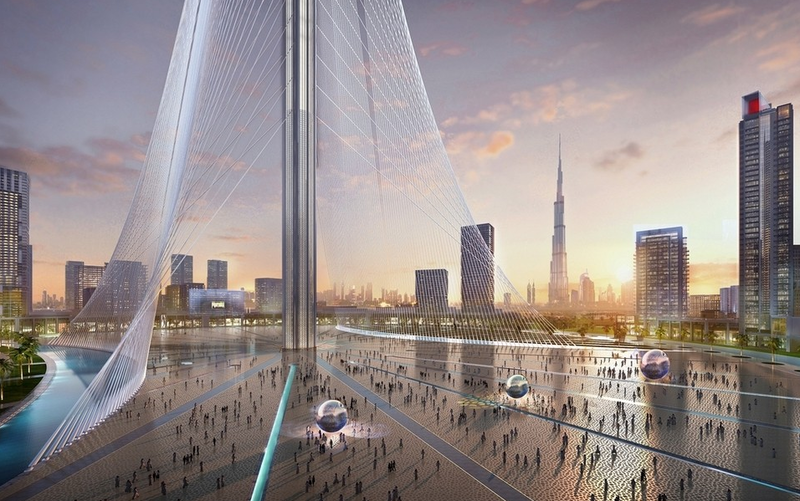 For the 2020 Expo in Dubai, the plans for a new icon to be built have just been revealed. This icon will be considered as the main landmark just as the Eiffel Tower to Paris is. 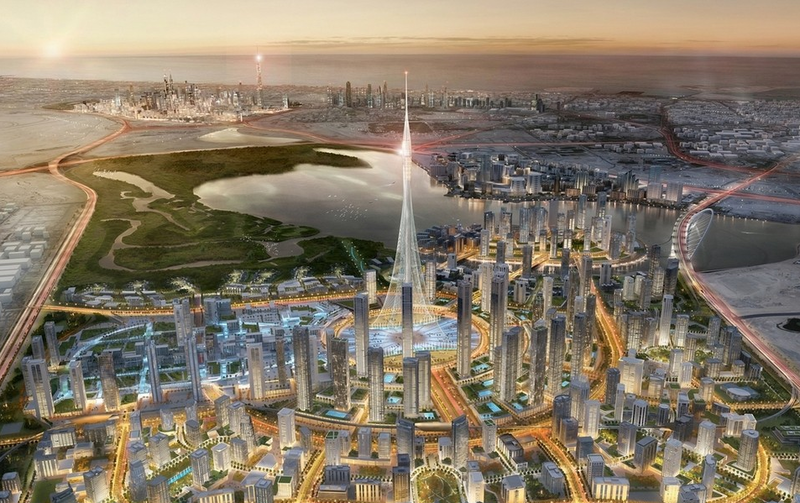 During their presentation, Emaar announced that it will be taller than Burj Khalifa but still the exact height is not decided upon. Th project will be around 6 sq. km. 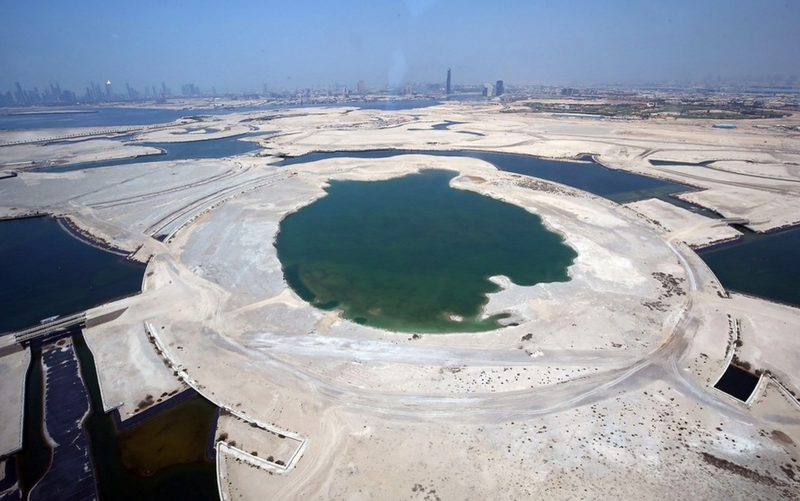 The project is designed by Spanish architect Calatrava and estimated to cost $1 Billion. Calatrava however is known for projects that cost much more than the anticipated budget. This is according to the Full Calatrava website which lists every single project and its budget. 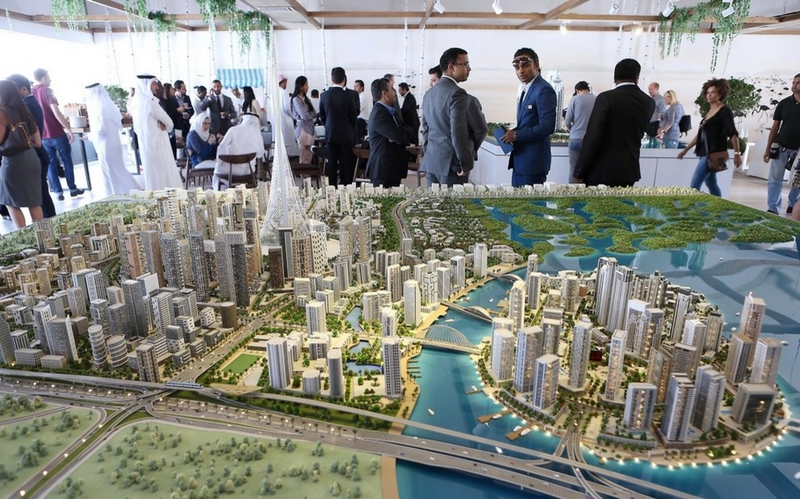 Emaar Properties will attempt to deliver the new Dubai Creek tower and a linked “mega-retail district” at the same time so that they are both open by the time Dubai’s Expo 2020 event begins . 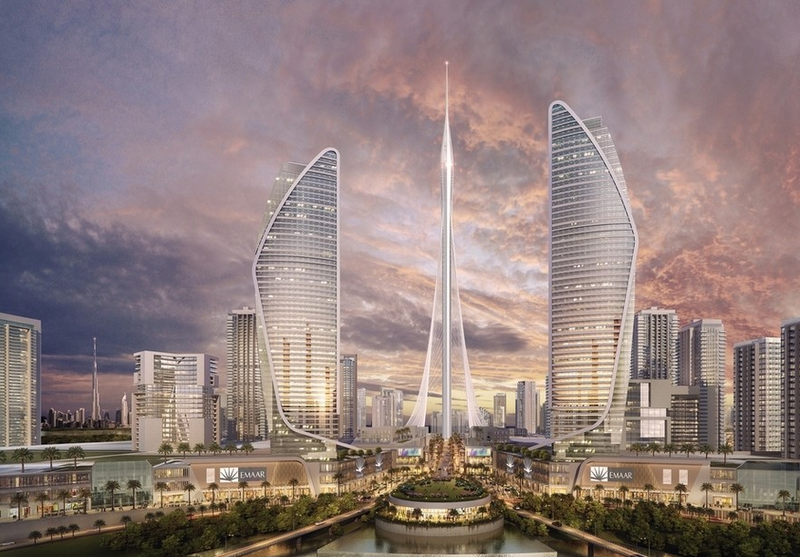 Mr Calatrava’s design was chosen by Sheikh Mohammed bin Rashid, Vice President of the UAE and Ruler of Dubai, in February following an international competition between five of the world’s top practices. Structurally, the tower will have a concrete core and will be cladded mainly in glass and steel. 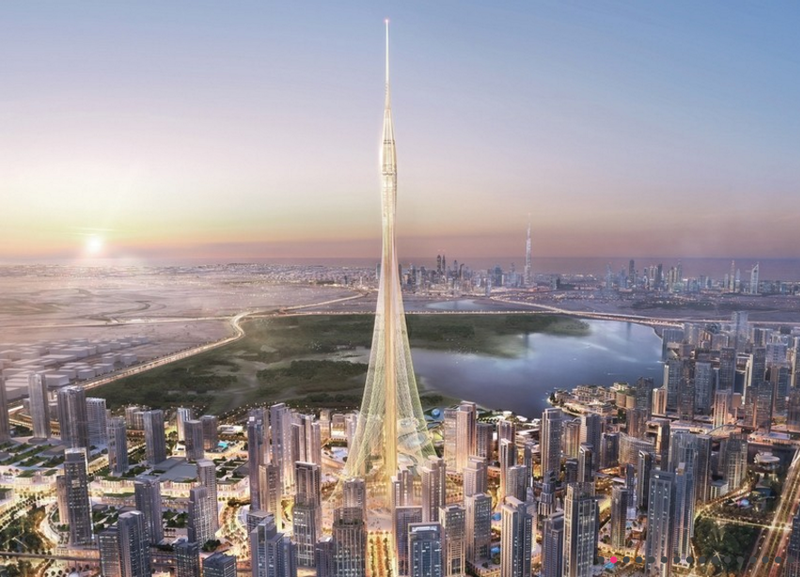 Work on the project is estimated to begin early July, the tower will hopefully be ready in around 4 years according to Mr Alabbar said yesterday. The project features a 4.5km Creek boardwalk and will also house nine lifestyle districts, 22 hotels, a yacht club, marina and a harbor. The facade will be kept clean with the water collected by the building’s highly-efficient cooling system. Integrated shading and solar protective landscaping will also be used to promote efficiency.